On Tuesday, the state announced that it was withdrawing charges against IPID (Independent Police Investigative Directorate) head Robert McBride for child abuse. No reasons were given at the Pretoria Magistrates Court as to why the charges were being dropped – but it marks a provisional end to a story marked by peculiar circumstances from the start. By REBECCA DAVIS. 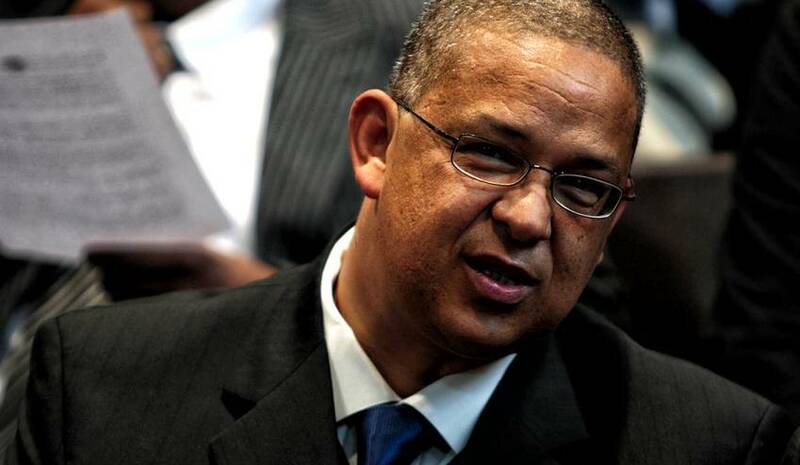 Robert McBride will not be prosecuted for child abuse for now. When McBride appeared in the Pretoria Magistrates Court on Tuesday, it marked the provisional end of seven months’ worth of court appearances for the IPID head, since being charged with contravening the Children’s Act in August 2017. Charges were laid against McBride last year after his 15-year-old daughter claimed that he had throttled and punched her while driving. McBride painted the incident as part of a normal family disagreement. He admitted having “admonished” his daughter after becoming concerned about her “rebellious” behaviour, but strongly denied assaulting her. It was McBride’s contention that the case was opened as an attempt to tarnish his reputation. He said that charges had been laid by a woman who had previously asked him to quash traffic fines for her, and been rejected. McBride provided documents to the media showing that the woman in question had a long history of opening cases with the police, including a previous case against a parent accused of assaulting a child. McBride also suggested that the case could be part of a wider conspiracy to damage his career. As Daily Maverick noted at the time, McBride has made powerful enemies during his tenure at IPID: among them, former police minister Nathi Nhleko and former acting police commissioner Khomotso Phahlane, both of whom McBride accused of wrongdoing. Complicating the matter was McBride’s daughter’s strenuous objections to the idea that there was anything untoward behind the claims of assault. The girl told EWN: “I’m not concerned about his reputation or his line of work. I’m concerned about what he did to me.” She also said that she was speaking out publicly out of fear that McBride could otherwise use his influence to make the docket disappear. McBride’s legal team had initially intended to present arguments on why he should not be prosecuted, but announced in February that the IPID head had decided to abandon these on the grounds that the matter should be ventilated in court. It was reported at the time that McBride’s team intended to call his youngest daughter to the stand to testify in defence of her father. McBride’s attorney Jaco Hamman was reported on Tuesday as saying that the team was happy with the outcome. Because no reasons were given as to why the state was provisionally dropping the charges at this time, however, questions remain. The assault charges have been just one of numerous issues filling McBride’s plate of late. Last month it was reported that the IPID head faced imminent arrest for racketeering, which McBride said was a retaliatory move against him for his action against former acting police commissioner Phahlane. It was also alleged in February that McBride had accused former police minister Fikile Mbalula and other top police officials of bribing delegates before December 2017’s ANC electoral conference. McBride allegedly made the claims – denied by Mbalula – in a meeting with President Cyril Ramaphosa.